I can not even begin to explain how yummy this Monkey Butter is or how great it will make your kitchen smell! It only takes 5 ingredients to make, is simple and your family will love you for making it. 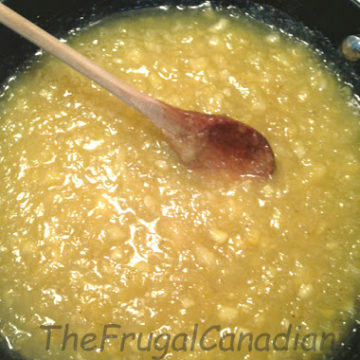 Place all ingredients into a large pot and bring to a low boil, stir constantly. Lower the heat to a simmer and keep stirring. When the Monkey Butter is about jam texture it is ready. 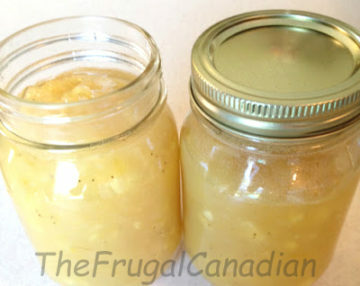 Add your mixture to your canning jars and let cool. Store sealed jars of your Monkey Butter in the refrigerator for up 5 weeks. For those of you looking to store yours longer, seal your jars and place in a water bath for canning for 15 minutes. 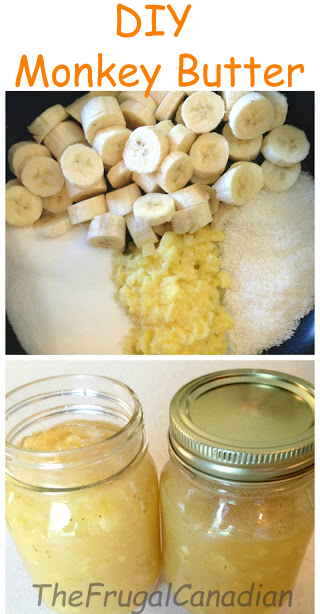 Please share this delicious Easy Monkey Butter (Coconut, Pineapple and Banana Jam) Recipe!